Gaming isn’t just about the games. It’s also about the accessories. And with that in mind, we couldn’t let the day go by without telling you about the latest set of headphones to hit the market. For when Ubisoft and Focal team up to create some limited edition Assassin’s Creed Origins themed cans, the whole world should sit up and listen. So, what do we have? 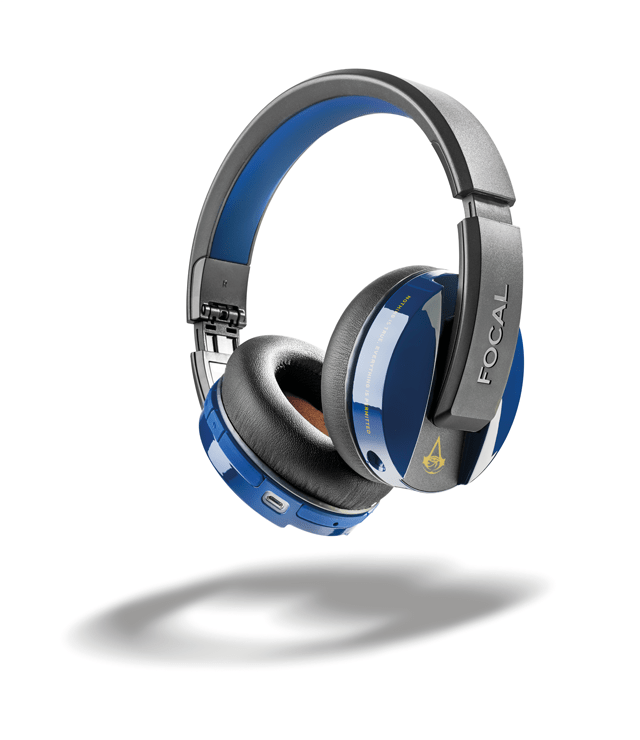 Well, Ubisoft and Focal – a global leader in high fidelity products – have today announced Focal’s Listen Wireless headphones that have been customised for Assassin’s Creed Origins. The first collection – the Assassin’s Creed Origins Listen Wireless Headphones – are limited to 2222 units and designed exclusively for the Ubisoft Store. Equipped with Bluetooth technology, the Listen Wireless headphones offer Assassin’s Creed fans an exceptional product of French expertise with a sophisticated design. The quality of Focal headphones will let them enjoy high quality sound for up to 20 hours while immersing them into the huge world of Assassin’s Creed Origins. They are also equipped with a “clear voice capture” double microphone system for even greater clarity of speech and conversations. Additionally, the world renowned French jeweller Tournaire has crafted an extremely limited number of Focal’s Utopia headphones featuring yellow gold design elements. With a 3D artist, an art caster and a goldsmith working together, the piece of art is limited to just 10 numbered pieces. Celebrating Ancient Egypt, the incredible piece includes 18-carat gold elements with the headphones displayed on a bronze head of Origins’ protagonist, Bayek. Assassin’s Creed Origins Utopia by Tournaire® and the mount are displayed on demand at Tournaire’s boutique in Paris (7 place Vendôme – Cour Vendôme, 75001 Paris). “Focal and Ubisoft share the same commitment to excellence, enhanced service and creating an emotional connection. 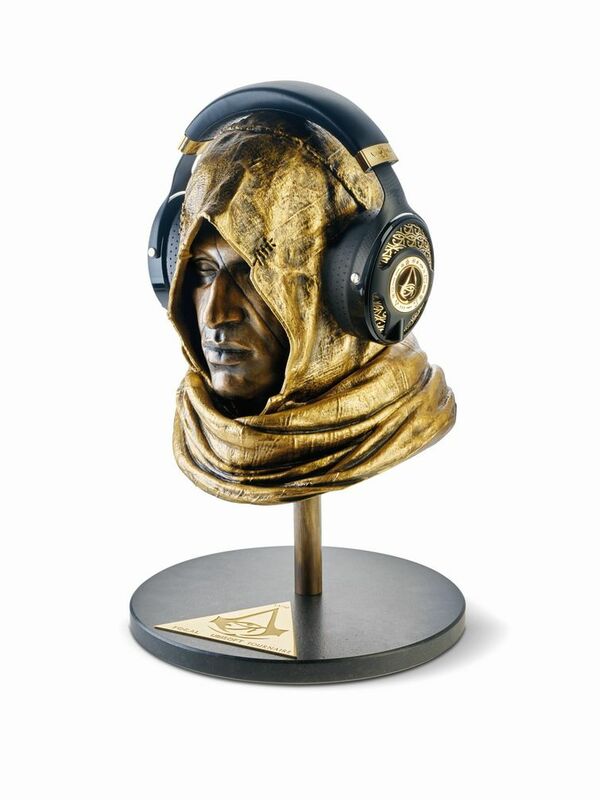 The Assassin’s Creed Origins limited headphones represent a first step for a long term collaboration”, said François Tallec, Director of Licensing Out and Publishing at Ubisoft EMEA. “Sound is a key element in gaming for a true immersive experience. Focal, leaders in the hi-fi acoustic world, is proud to collaborate with Ubisoft for the launch of Assassin’s Creed Origins. This is the first step of a French partnership dedicated to excellence in these two matching universes”, said Sébastien Dumas, FOCAL Brand and Communication Director. And now for the price. 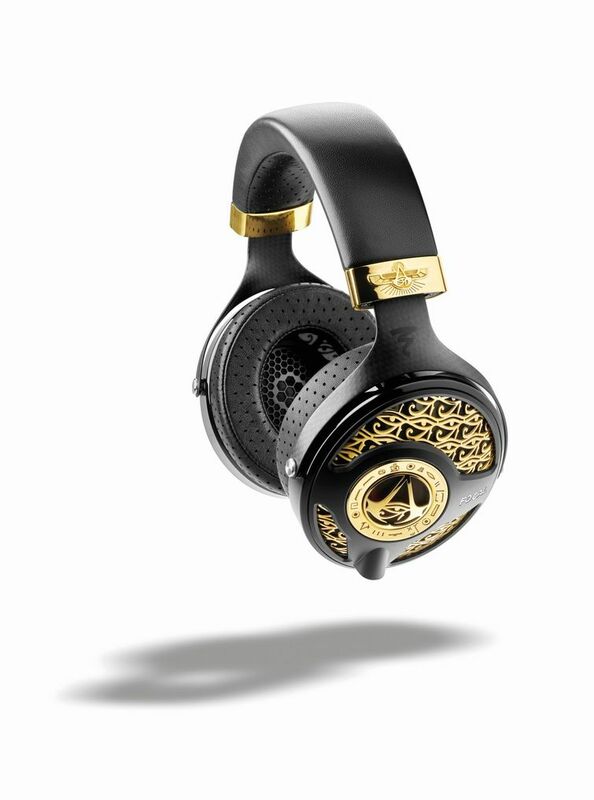 Whilst the standard headphones come in at €249, the limited 10 piece Assassin’s Creed Origins Utopia by Tournaire® is being sold at a cool €50,000, with the bronze head of Bayek setting you back another €12,000. But surely your gaming room demands you give it a little thought eh? Next articleWWE 2K18 Season Pass and downloadable content additions detailed!